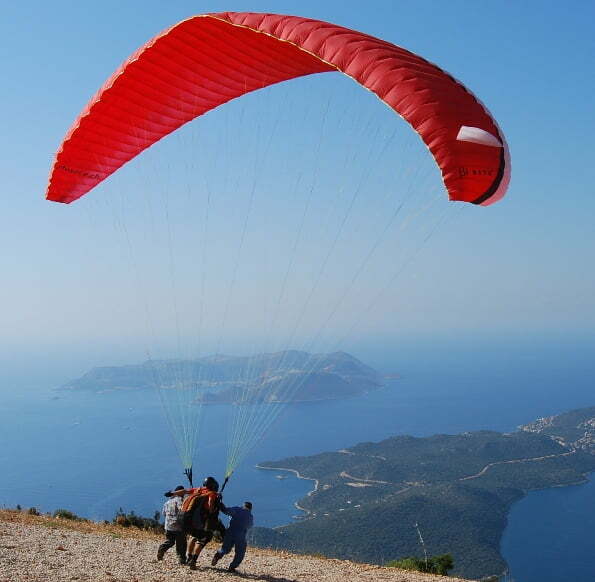 Paragliding in Turkey : Thrilling Experience or Safety Hazard? 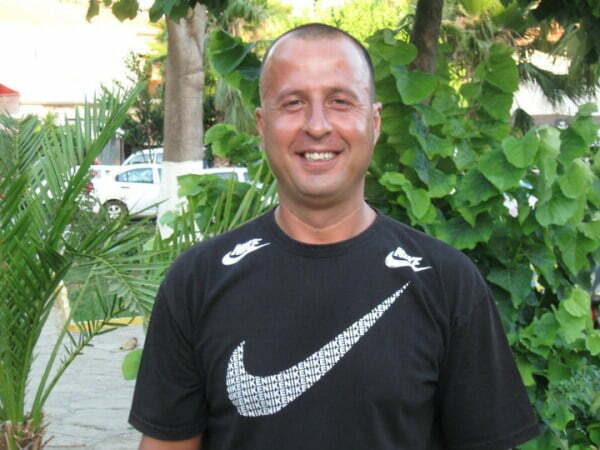 Veske is a confident man with an addictive passion for paragliding in Turkey. He does not just do it at the weekends or when he has opportunity to go on holiday. No, he is a professional paragliding pilot who runs off the side of a mountain every day of his working week. Veske first jumped out of an airplane with a parachute when he was 16 years old, later he worked as a paragliding instructor for the Turkish military. Talking to him 23 years later, it is obvious that he still has the passion and spirit of adventure that first sent him on this course in life. Quite the contrary, as a professional paragliding pilot he has completed over 6,000 flights as well as 1,350 skydiving jumps which shows he is serious about what he does for a living. So why did I start this article by introducing readers to Veske? Well, you can normally guarantee that every year, there is a story in the newspapers about holiday makers who unfortunately end up having an accident while paragliding in Turkey. Some people have died, others have suffered injuries. Some companies have tarnished their public reputations while their workers face investigation by the Turkish authorities for murder or manslaughter. I wanted to speak to a professional pilot to find out whether paragliding in Turkey is a sport that people can do on their holidays without any fears about safety. I also wanted to look behind the scenes at what the job of a paragliding pilot entails. The expert that I found with a perfect safety record was Veske and he was quite happy to show me the ropes. 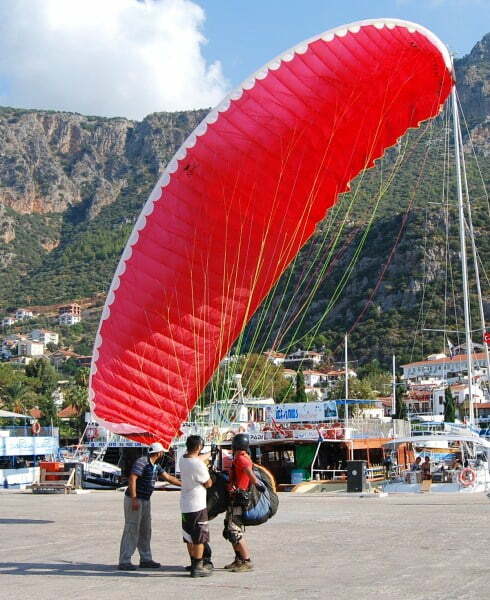 When it comes to paragliding in Turkey, most people think first of the resort of Olu Deniz. However, for the interview, I headed to the coastal resort of Kas where Veske works every day for Bougainville Travel, which are at the forefront of the trend for adventure sport activities in Turkey. Considering the fact that Veske spends every day jumping off the side of a mountain, I expected him to be hyper; however, he was calm and relaxed as we sat down for coffee and question time. Me : Hi Veske. Thanks for agreeing to the interview. Paragliding is quite a dangerous sport. How can people ensure that they are safe when they go up in the air for the first time? Veske : Well actually, paragliding is one of the safest sports in the world. The only thing that can go wrong is human error. Every time my staff or I set off into the air for a tandem ride with customers, we know exactly what the predicted weather and wind speeds for that day will be. We know the environment and layout of the land like the back of our hands. We have already triple checked all the equipment and briefed the customers on what to do. Once the customers are kitted up in the safety gear, we complete the last check. Between the three professional paragliding pilots who work for Bougainville Travel, we have over 43 years combined experience of paragliding so our confidence and expert knowledge helps to calm down nervous customers. There are simple rules and if you obey them every single time, nothing can go wrong. 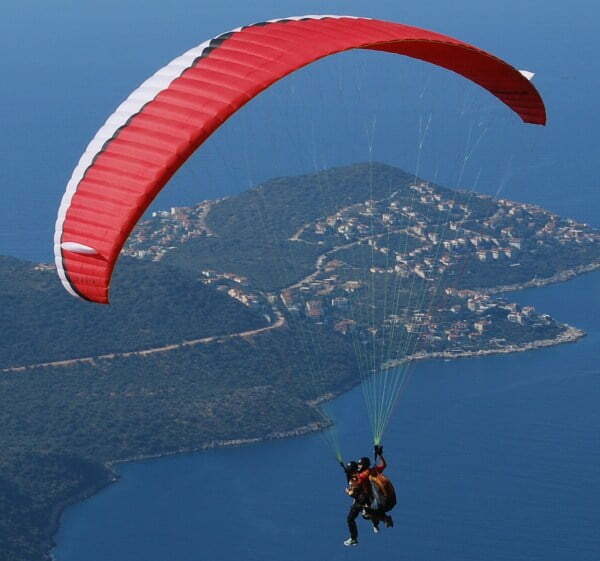 Me: So considering the accidents of paragliding in Turkey in recent years of which some have resulted in deaths, do you think it is the fault of the companies running the paragliding tours? Veske : I cannot say whether it was the fault of the companies or not as I do not know the specifics of each incident. We do have to remember as well, the ratio of accidents to the number of successful flights that take place every year in Turkey. This ratio is very small. Generally though, inexperienced pilots or those who have become complacent are often the cause of accidents in paragliding, anywhere in the world. It is not enough just be licensed. Safety checks and rules must be obeyed at all times and then the flying experience will end up a brilliant one. If a holiday maker wants to paraglide in Turkey, the best question they can ask their pilot is how many hours of paragliding they have done and are they familiar with the layout of the land. Me: Have you ever had to turn away holiday makers who wanted to tandem paraglide with you? Veske : Yes, as a professional paragliding pilot, I pay great attention to the mindset of people before they take off. Nerves can be controlled and after setting off, anyone who is nervous will often be calm as they experience the thrill. Panic is a different matter, if we feel that the person will panic in midair, then I will not fly with them. We have also had some people who have been intoxicated, are missing a limb or appeared to suffer a form of mental illness, in which case, this would put too much responsibility on the pilot. Me: Be honest and tell me if there is anything about being a professional paragliding pilot that you do not like. Veske : A lot of the time, experienced solo pilots will come to Kas and ask me for directions of the takeoff and landing points. The only landing point in Kas is the harbour upon which the paragliders of Bougainville travel are very experienced at landing. Unfortunately, solo pilots with no knowledge of the area, often end up getting it wrong. I would like the local council to build a designated area of landing for paragliders who are not local and then there is less chance of the independent paragliders suffering accidents. The interview with Veske taught me a lot about paragliding in Turkey; however, the prize of the day was to actually watch him in action. Veske did offer to Tandem paraglide with me but my fear of heights stopped me from saying yes! Instead I jumped in the company van with customers and we drove 20 minutes up winding mountain roads until we reached the takeoff point. I watched eagerly behind the lens of my camera as the customers were fitted out with their safety gear and given safety briefings. Veske was still relaxed and confident leading to a calming effect on the customers who at this point were looking rather nervous. One by one, I watched as Veske waited for the right wind speed and then upon his signal, instructed the tandem pilot and customer to start running. A helper pulled them towards the edge to assist the chute in filling up with air. They then soared into the sky and out of sight behind the mountain. I was desperate to get back down to the harbor to watch them land and to speak to the customers of their experience. I made it just as the last person was landing. He had unfortunately thrown up upon landing but the other two customers were full of high spirits and a confident sense of achievement. I asked them if they would do it again and the answer was definitely! Have you been paragliding? If so, did you have any concerns about safety? Well done to you Lorraine – I am scared of heights as well and just can not pluck up the courage to do it. Mary – I can not pluck up the courage to do it off a boat either!! Veske does have a cool job though! Wow, Paragliding off a cliff looks amazing! Totally different from the paragliding that I’ve done off of the back of a boat. I’m sure I would be super scared, but I would love to do it anyway! Hi Jay, Your last sentence is very good advice. It is easy to try and save ten pounds but at the end of the day, quality services are normally more expensive and is ten pounds really worth your life? I think not. I have been a professional paraglider pilot for 20 years with a total of nearly 10.000 tandem flights. About 18 years I have been flying in Ölüdeniz and I have seen some of the accidents here. In general, paragliding is a very very safe sport but as there is a human involved, mistakes do happen and we all learn from them. Every day I have 5 people with me who are very scared and this is very normal. It is my job not only to fly them in a safe manner but also to comfort them BEFORE we fly. Am I saying that one should simply go paragliding and not worry? Of course not. Always ask what reputation the company and pilot has, get opinions from people who just did it. And PLEASE do not go for the cheapest option but for the best. Saving some money is not worth it when it comes to such activities. I have always wanted to go paragliding. Doing that in Turkey would make the experience way better! Great post! Great post about this adrenaline rush activity. Its like anything extreme, there are safety rules there for a reason. If you don’t follow the rules, you are putting yourself and others in danger. I want to do this when I visit Turkey! Such beautiful scenery and what I’d imagine to be an amazing experience. Always fancied it but never done it and would probably scream all the way up. D – Your post was an excellent read. A reminder that you need to work together with the pilot as both of you are impacted if something goes wrong. Thanks Andrea. 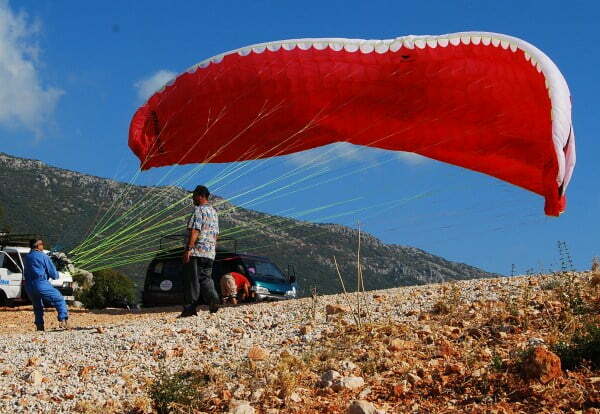 Paragliding in Turkey does become a hot topic on forums as to whether it is safe to do it. Hi Pete, There are many solo pilots here in Turkey and as Veske mentioned, they often get the landing wrong in Kas because they don’t know the layout of the land. A good track record is also essential when choosing the company that you go with but if I ever do it, then I will also question the pilot as Veske suggested. Would love to read about your paragliding in Argentina. I am with you on that TFL – I would like to have done it when we went up the mountain but my panic factor was something I did not think I would be able to control because of a fear of heights. Thanks Andrew. Watching it, it does seem like a wonderful experience and can you imagine that Veske does it every day of the week. Most unusual job in the world? That means you have done it then Alan – I am thinking back in your army days? Thanks Johnny, yes, the articles make me feel quite sick as well. They were only a snippet though. I found more about solo pilots who died in Olu at the end of the season in 2011. Same here tunimal – I have a great fear of heights which stopped me from doing it. You enjoyed watching, but did you try it?! Great interview! I was saddened to read of so many accidents. This is a great post – a question I’m sure people have when considering this activity in Turkey. Hey Natalie, great post. We have been paragliding in Argentina and had a really interesting experience. We were on top the mountain waiting to run off but were just waiting for some solo runs to come down first. The thermals were really amazing that day but one girl got up way to high and next thing we know she has her emergency reserve deployed and is coming straight down. The guys tried radioing, but she had no radio. She disappeared behind a mountain and then the guy says “oh well, ok, your turn, ready?” Ummmmm, ok. Needless to say it was a wonderful experience as we were up for around 35 minutes. I would do it again in a heartbeat, as long as the company I was doing it with had a good track record. Well, Veske certainly wouldn’t be tandem paragliding with me if he says he won’t take people who panic. I’d be beside myself!! I like the idea of being more adventurous but it’snot happening in practice! 🙂 Great photos. Looks beautiful, but no way I’m up for that. Ballooning is my feat of defying gravity and even that has me worried. I just like having feet on the ground. Despite all of that, the pictures from paragliders and of them are fantastic. oh that looks breathtaking, exciting and scary too! Natalie, as usual, another great article. I know Veske personally and you have captured his personality very well, he is a great guy and a true professional. The articles you quoted make me sick. No responsible pilot would attempt to fly under such conditions, it is criminal that he did so with a passenger. Tandem jumps with Veske are currently 90 Euros. 20,000! Yikes! 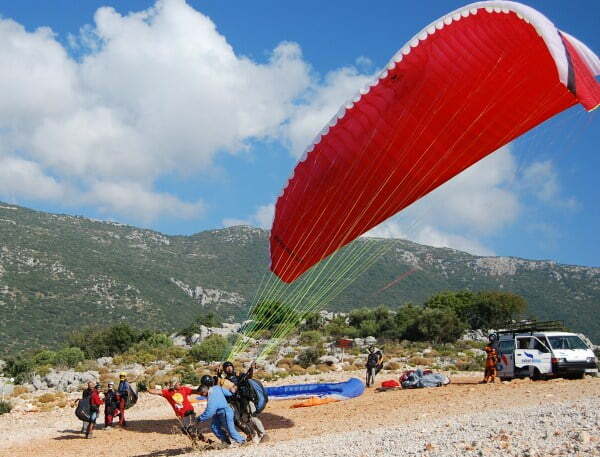 If you have been to the beach at Oludeniz, you know that during the high season, swimmers and sun bathers are constantly being bombarded with paragliders landing on the beach. All day long the near misses continue.